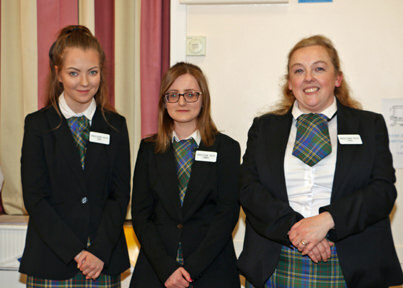 Come to Hawick in the summer months and you will be met by our friendly hosts from the Hawick Welcome Initiative. Our hosts are there to meet and greet visitors to the town and provide them with information on where to eat, where to sleep, where to shop, and what to enjoy – all to help you make the most of your visit to Hawick. You’ll find them in any of our car parks (Hawick, incidentally, has the biggest free car park in the Borders) or on our streets, smartly dressed in their blue blazers and Hawick tartan. They have brochures, maps, everything you’ll need for your visit, but just as importantly they have an in-depth knowledge of the town and surrounding countryside – and it’s all at your disposal, absolutely free of charge! Two years ago, they started the Hawick Campervan welcome, so if the motorhome is your favoured holiday, make Hawick a destination. Our hosts will make your visit one to remember!